Talk all you want about the third season of Kuroko's Basketball here. Plot Summary: After winning a fierce battle against Yosen High, Seirin High basketball team successfully advanced on the semifinals of the Winter Cup. They continue aiming to become the champion but this makes hard for them since they're against powerful opponents. Wala pa ring balita kung kelan ba talaga ipapalabas ang Kuroko S3 sa Channel 2. So it's officially SHELVED/CANCELLED na sa ABS-CBN, pero sa YeY! (TV Plus) na ilalagay. KUROKO S3 starts Tonight (Jan 20, 2018) on Yey! Double episodes every Weekends from 8pm to 9pm. ABS-CBN's digital terrestrial channel also set to air Kuroko's Basketball Season 3 and Samurai X OVA. ABS-CBN’s digital terrestrial channel YeY has announced in a television advertisement on Tuesday that the live-action tokusatsu series Halser Acre and the sports anime Ace of Diamond are set to premiere on the channel. 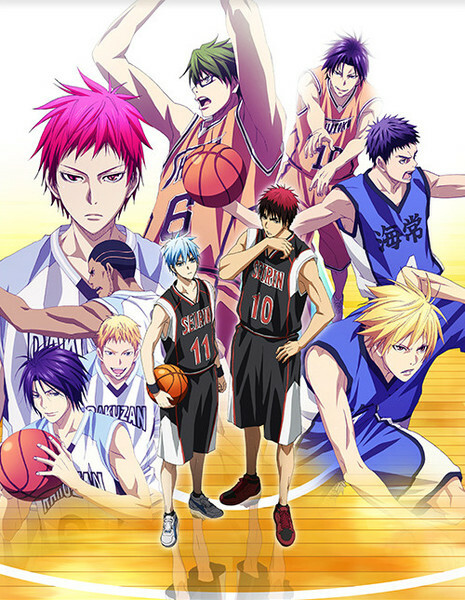 The channel is also set to air the third season of Kuroko’s Basketball and the OVA adaptations of the popular Samurai X series. Information about the premiere dates of the upcoming shows have not been made available, aside from Halser Acre, but they are expected to air in January. Halser Acre premieres on Saturday, January 6, at 03:30pm. Ace of Diamond is an anime adaptation of a manga series by Yuji Terajima, which was published in Kodansha’s Weekly Shonen Magazine from 2006-2015, and has a total of 47 volumes. The anime adaptation was directed by Mitsuyuki Matsuhara, who also directed on the Japanese anime adaptation of Marvel’s Blade, while Blood Lad scriptwriter Kenji Konuta handled the series composition. Minori Ueda, who worked on Eyeshield 21: The Phantom Golden Bowl movie, handled character designs, which was produced by Madhouse and Production I.G. The third season of Kuroko’s Basketball premiered on Filipino-language anime channel HEROtv in 2015, which was supposed to air on terrestrial network ABS-CBN the following year but was postponed, while Rurouni Kenshin: Trust & Betrayal premiered on the anime channel in April of last year. As previously reported, HEROtv is set to cease broadcast at the end of this month. It's finally ending this April 7 & 8. The last two episodes of Seirin vs Rakuzan airs on a special timeslot at 6pm to 7pm sa YeY!.